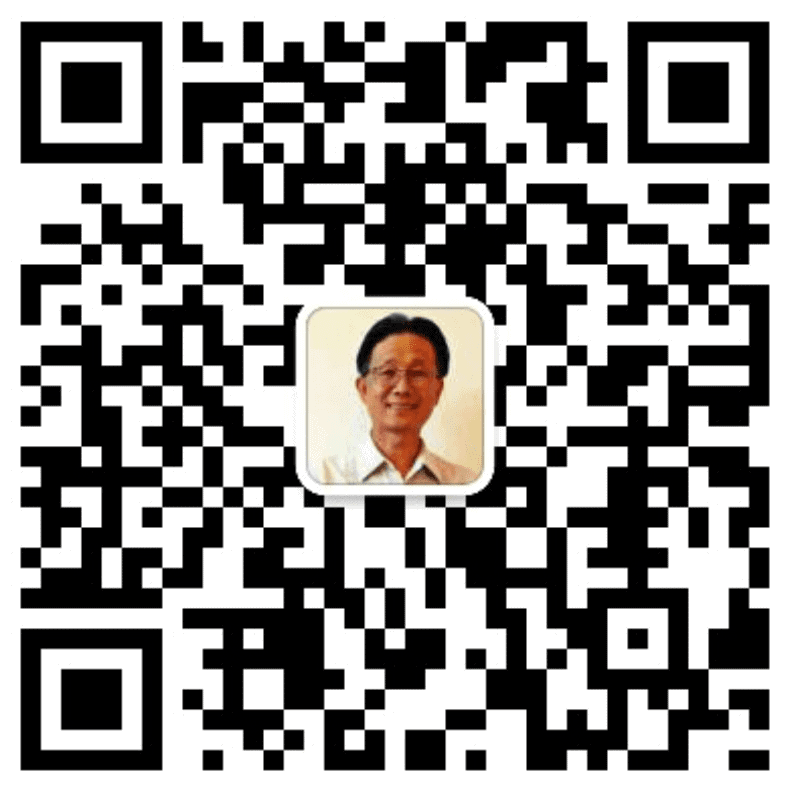 The Forms Feng Shui School is talking about the surrounding forms of a building, a house or a burial grave. The site is analyzed according to the location of the “Four Celestial Animals”. In Forms Feng Shui School, we call these animals the “Red Bird or Red Phoenix”, the “Black Tortoise”, the “Green Dragon” and the“White Tiger”. The names of these “Four Celestial Animals” come from the Taoism. Each animal has its own color. Do you know why? Why they are called such names? Of course there are reasons. Most people do not know why. It is very difficult to explain them in a few words. You need a lot of Chinese Astrology and Feng Shui knowledge to understand. I am better not confusing you right now as we should go on to the forms Feng Shui School. In fact, they are imaginary animals to represent the positions relate to a building, a house or a burial grave. When a building or a burial grave is located within this perfect arrangement and provided that the correct facing is calculated, then precious energy is created and can attract good fortune for the occupants or good energy can be passed to the offspring. 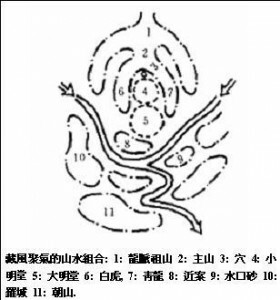 A typical burial grave’s “Four Celestial Animals” in Forms Feng Shui School is like this. The “Four Celestial Animals” is just a general idea. In Feng Shui facts, typically in Yin Feng Shui it is more than “Four Celestial Animals”. 8, “On” – Long Table or Cashier table. In Forms Feng Shui School, You need all the above features to make a perfect Burial Grave or Feng Shui Dragon Den. The Yang Feng Shui for a building or a house borrows the concept of the “Four Celestial Animals” from Yin Feng Shui. The “Red Bird or Red Phoenix” is the area located at the front of a building or house. In fact I prefer to use the term “Bright Hall”. It should be a flat, open space. Always ensure that this area should bright and neat. The “Green Dragon” is located to the left of a building or a house, as you stand against it and face outward. The “Green Dragon” provides you with Yang Energy which gives you helping hand from external and good health. The “White Tiger” is located to the opposite side to the Green Dragon. It is at the right hand side of a building or a house, if you stand against it then face outward. If the “White Tiger” is too strong, it will bring Yin Energy to the house which will give ill-health. in Forms Feng Shui School theory, the female of the house will be stronger and more powerful. The “Black Tortoise” is located at the rear of a building or a house. It symbolizes a tower of strength behind you, supporting you and protecting you. Most people understand the “Four Celestial Animals” and its position but how to utilize them? I believe that not many people know. Let say, after you moving into a house, the surrounding forms are already existed and they are fixed; unless you neighbors build a double storey house to make the “Green Dragon” or “White Tiger” side higher. But how often do your neighbors re-build? If there is no rebuild, how to fine-tune these “Four Celestial Animals”? What kind of techniques we should employ? Well here is some forms Feng Shui school Tips for you. For the “Red Bird or Red Phoenix”, I call it “Bright Hall”. Never build any big object in the middle of the “Bright Hall”. If so, it is called “Sickness Mountain”. I have an article talk about the effect of the “Sickness Mountain”. It will affect fertility. You can go to Feng Shui Tips for Fertility Pregnancy Baby and read about it. Sometimes, after the house was built, the land forms and the surrounding were not so ideal, and then some Feng Shui techniques can be implementing to improve the Energy flows. For outside animal such as Lions are for protection. Especially there is a poison Arrow “Sha”(bad energy) point to the house. There are a few styles of Lions. 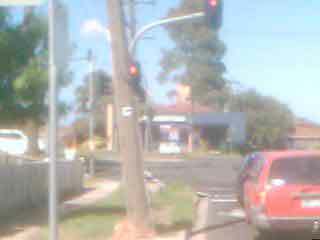 Normal the one place at the Right hand side (look outward to the street from the house) is Female. The Male lion is at the Left hand side. The Female Lion is holding a lion calf. The Male lion is holding a Ball. They are special meanings for them. 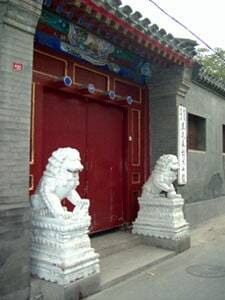 For example, this house in Beijing, one of the Hu-Tongs (Hu-Tong means a small lane way, similar to Hardware Lane in Melbourne CBD) use a pair of lions. The Stone lions guard against evil entering the house. However not every house can implement these features. These kinds of features are for high ranking officers only. The other Feng Shui Forms most talked about is the Poison Arrow. In Feng Shui, there are very often mentioned of “Sha” Chi (bad energy) is the Poison Arrow Sha. Most Feng Shui Consultants said that Poison Arrow Shas are bad. Poison Arrow Sha is a straight road shooting to a building or a house. However the Poison Arrow Sha sometimes can be good. There are certain businesses can use Poison Arrow Sha to improve their business. Here is one example. Look at the following picture. 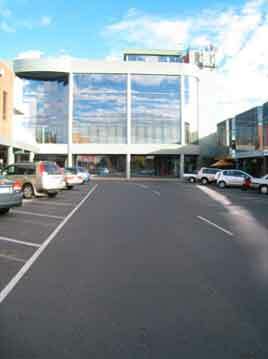 The picture was taken when I went to donate blood at the Pinewood Shopping centre, Mount Waverley. Yes, the building in front is the Red Cross Building. The road is hitting to the building. The fact is going to donate blood at this center. You need to make appointment 3 to 4 weeks in advance. Think about it and you will understand why I said this is a good Poison Arrow. Here is a Bad Poison Arrow in forms Feng Shui school. The property is for lease. The property below is at a Intersection. It is hit by a Poison Arrow. It is self explanatory that the property is for lease.